Betsy is a holistic therapist who enjoys helping both children and adults move toward emotional, spiritual, and physical health. Betsy has a B.A. from Wheaton College and an M.S.W. from Aurora University with an emphasis on children and families. Betsy is a licensed clinical social worker, registered play therapist supervisor and sandplay practitioner. Betsy has over 25 years of experience as a psychotherapist and has maintained a thriving private practice for many years. She also has experience working in schools as a social worker and counselor. Betsy has served as an adjunct professor at McDaniel College and Temple University for the Play Therapy Certificate Program. She is pursuing her passion of sandplay and will soon become a certified sandplay therapist. Many hours of training in play and art therapy have prepared Betsy well to provide both short and long term treatment to people of all ages. She is well versed in both directive and nondirective therapy approaches to address issues including: divorce, grief, abuse, trauma, self-esteem, adoption, phobias, ADHD, school failure, social skills, mood disorders, anxiety disorders, eating disorders, marital issues, and infertility. Laura is a board certified music therapist, national board certified counselor, as well as a licensed professional counselor. She has a B.S. degree in music therapy from Elizabethtown College, a M.S. in Music Education from Towson University, and an M.S. degree in mental health counseling from Capella University. She is an avid musician, a strong advocate for clients, and shares an enthusiastic passion for her work in helping individuals overcome social, emotional, behavioral, and neurological issues. Laura has over 20 years experience as a music therapist and music therapy supervisor working with an array of populations of all ages in nursing and rehabilitation centers, hospitals, schools, community mental health, day learning centers, outpatient settings, and private practice. She integrates music therapy with counseling interventions as appropriate to address ADHD, adjustment disorders, anxiety disorders, autism, learning disorders, mood disorders, grief, self-esteem, trauma, abuse, coping skills, social skills, and behavior. Music therapy, expressive arts activities, play techniques, relaxation strategies, mindfulness approaches, client-centered therapy, cognitive-behavioral therapy (CBT), trauma-focused CBT, and Dialectical Behavioral Therapy (DBT) are approaches utilized most frequently with her clients. Angela is a Registered, Board Certified Art Therapist and Licensed Professional Counselor who believes in the power of art to transform and heal. She likes to create a comfortable environment for children, teens, adults and families to work on change. Angela offers creative arts therapies including art therapy, sand tray, and play techniques to help them overcome life's challenges. In sessions, you will see how art can provide a way for you to express your inner most feelings when words sometimes fail. Once the words have been spoken, then it is often easier to address the deeper issues and conflicts. Angela' s approach is family focused as she encourages parents to be involved in the child's process. Angela's areas of specialty are trauma and attachment focused therapy work with children and teens who have experienced abuse, neglect, and abandonment. Angela has also worked with families experiencing divorce, grief and loss. Other areas of specialty include: anxiety, depression, stress, and chronic illness. Angela has over twenty years of experience providing therapy to children, teens, adults, and families in the York and surrounding areas. She graduated from Indiana University of Pennsylvania with a BFA in Fine Art and a Minor in Psychology in 1993. Angela received her Master's degree in Art Therapy in 1997 from Long Island University. She is currently pursuing her Registration in Play Therapy. Katie Weber is a Licensed Professional Counselor. She specializes in art therapy, mind/body awareness, cognitive behavioral, and holistic approaches to treatments that support individuals and families experiencing challenges in daily life. Katie works well with adults, children, adolescents, families and couples; she also has experience in dealing with PTSD, ADHD, ODD, eating disorders, depression, mood disorders, stress, and anxiety. Using creative, artistic, and solution-focused modalities, she supports clients in increasing resiliency, coping strategies, and communication skills. She also supports clients in gaining an increased sense of balance and empowerment in their lives. By utilizing art therapy with families, Katie fosters a stronger family bond, supports family members in understanding each other, and works with members toward verbalizing emotions that fuel behavior. As an experienced family therapist, she understands the importance of a strong parent team and works with parents to ensure effective and healthy communication as well as a strong sense of unity. Jenny is our newest therapist to the team. She graduated with her Bachelors degree in Psychology with a minor in Studio Art from Millersville University in May 2015. She then received her Master's in Social Work from Millersville University in May 2017. She is a licensed Social Worker who is working rapidly towards her clinical license and to becoming a registered play therapist. She uses directive and non-directive child-centered play therapy techniques to address anxiety, ADHD, divorce, mood, anger, trauma, grief and self-esteem. Her goal is to meet the child where they are, and be/do what the child need in beginning the road of working towards a healthier sense of well-being. Brooke is a licensed professional counselor and art therapist, passionate about advocating for treatment in the creative arts and increasing mental health awareness in children and adolescents. She earned her Masters degree specializing in Art Therapy from George Washington University located in D.C. and her Bachelors of Fine Art from The University of the Arts in Philadelphia. Her experience has been with children, adolescents, juvenile offenders and their families in various settings; inpatient hospitalization, school, community-based programs such as mental health treatment court and in-home services. By using art-based directives as a tool for engagement and a client-centered approach to therapy, Brooke strives to build trusting, empathic relationships with clients to create a safe place for processing trauma and difficult emotions that may lead to maladaptive behaviors. Brooke is trained in Trauma Focused Cognitive Behavioral therapy and has a broad knowledge base to support clients and their families through trauma recovery. Her experience in working with juvenile offenders in the mental health treatment court system and students in a self-contained classroom identifed with trauma histories has greatly enhanced her attunement skills to enhance emotion regulation, while broadening her understanding of various systems. Some other concerns that Brooke has experience in providing therapeutic services are anxiety, self-esteem, ADHD, anger, difficulty with relationships or transitions, grief & loss, and depression. Jessica is a Licensed Social Worker who is working on earning her clinical license. She earned her Bachelor of Arts in Sociology from Temple University in 2010 and her Masters of Social Work from Widener University in 2015. Jessica’s professional experiences include working in the child welfare system, being part of an inter-disciplinary team at a hospice agency, and most recently working in a state prison. Working with people through various circumstances and stages of life has provided Jessica with the skills to truly meet clients wherever they may be in their journey. Some of Jessica’s areas of specialty are: trauma, grief & loss, women’s issues, and family issues. Her therapeutic style can best be described as a trauma-informed, strengths-based, and client-centered approach. Emily joins The Center as a Licensed Social Worker, working toward clinical licensure and certification as a Registered Play Therapist. Her journey to The Center has taken her on a rambling route. In 2001, she obtained a BA in linguistics from the University of Pennsylvania. She then embarked on a career in theology, taking masters degrees from Notre Dame and Trinity College Dublin and then a PhD in theology from Notre Dame in 2012. Her dissertation focused on human personhood in light of trauma and suffering. After teaching at the university level for four years, Emily followed her desire to respond more concretely to the challenges of human personhood by working directly with people in a therapeutic context. She began an MSW at the University of Maryland, Baltimore, which she completed in 2018. 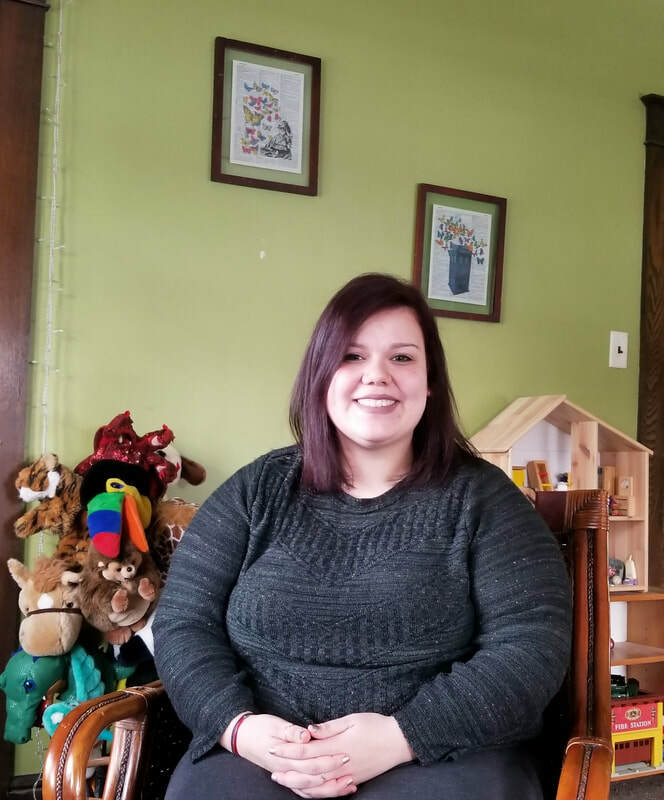 Through her discovering of play therapy, Emily has come to recognize that all people—children and adults—have within themselves the capacity to protect and care for themselves; she utilizes both play therapy and talk therapy to help clients uncover and develop the resilience that they already possess. Emily sees children, adolescents, and adults, including seniors. She works primarily from relational and psychodynamic approaches, affirming the individual person and the person’s unique experiences as the heart of the therapeutic process. She focuses on depression, anxiety, relationship and social difficulties, attachment issues, eating disorders, grief, and life transitions. Andrew graduated from the Pennsylvania State University with a B.S. in Elementary and Kindergarten Education in 1997 and a Master of Education degree in School Counseling in 2001. After 11 years of being an elementary school counselor, Andrew decided that he wanted to use his counseling training more regularly. He felt that his personality and skills would be more beneficial to children in a therapeutic setting instead of an academic one. He has been a National Certified Counselor since June of 2002 and became a National Certified School Counselor in October of 2008. Andrew learned about the concept of play therapy while in his master’s program. The thought of helping children heal through their natural language of play made sense and Andrew was determined to advance his knowledge and skill in this specialty. Andrew began receiving play therapy supervision not long after graduation and attended Temple University at Harrisburg where he received a post-master’s certificate in play therapy. He became a Registered Play Therapist in 2012. After ending his career as an elementary school counselor he pursued the long path of obtaining a mental health license at a community based agency where he worked as a Behavior Specialist Consultant, a Mobile Therapist, and an Outpatient clinician. Andrew’s primary approach is Child Centered Play Therapy, but he will incorporate direct techniques as needed. He encourages parents to take advantage of his experience as a school counselor and to talk with him about matters that may affect their child’s academic work. He enjoys working with children who are experiencing depression and anxiety symptoms. He likes working with children who are experiencing divorce, grief, and low self-esteem. Andrew encourages parents to be involved in the healing process and will have them join in on sessions from time to time. 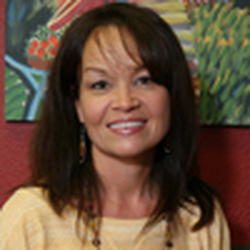 ​Melinda is our Office Manager, Insurance Biller, and overall office guru. Melinda comes to us with 19 years of post-college life experiences that include obtaining a mechanical engineering degree from University of South Carolina and working in the water treatment industry as a field service engineer traveling all over the southeast for 14 of those years. She chose to become a stay-at-home mother to her three children for 5 years, volunteering at their schools and leading the Parent Teacher Organization. It was then that she decided she missed having a workplace to call home. Fate and friendship led her to Betsy’s office, which was in need of someone to help with insurance billing. This quickly manifested into a much bigger role and now Melinda is instrumental in the overall day-to-day practice operations and looks forward to continued growth with The Center. ​Lisa brings an eclectic mix of experience in her work to help children, adolescents, and families in their journey to achieve wholeness and healing, as well as her work in helping The Center for Creative Arts and Play Therapy to begin its offering of professional development to local therapists. Always knowing that she wanted to work with children, Lisa initially completed coursework at the University of Pittsburgh and earned a B.A. in Art/Art Education from Carlow College (now Carlow University). Working as an elementary and middle school art teacher for sixteen years, Lisa also earned an M.S. in School Counseling from McDaniel College and completed post-graduate studies in clinical counseling through Messiah College. Lisa is currently working with The Center as Group and Professional Development Coordinator and also as a school-based outpatient therapist through a local agency while she works towards Pennsylvania licensure as a Licensed Professional Counselor and registration as a Registered Play Therapist. She enjoys employing both directive and nondirective therapy approaches, and areas of interest include grief, abuse, trauma, attachment, self-esteem, adoption, ADHD, autism, social skills, mood disorders, trichotillomania, and skin picking. She has enjoyed working in schools, outpatient settings, and residential treatment and using the creative arts to help others.